#1 "Powderfinger" is a present-day scary horror story set mainly on the decrepit, abandoned but soon to be redeveloped, bank of an old canal between two towns. 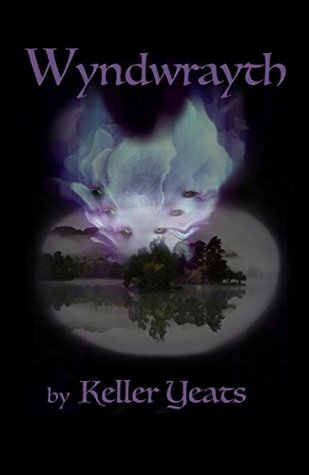 #2 As the death toll rises, Nick finds himself, along with his new partner, Wendy and her Wolf, Mir embroiled in a struggle not just to maintain sanity but to stay alive. "Powderfinger" is a present-day scary horror story set mainly on the decrepit, abandoned but soon to be redeveloped, bank of an old canal between two towns. It centres on an old tar works known as Raven's Gate. Nick Swann is a world weary mid-forties widower and Assistant Probation Warden at St Joseph's Hostel for young male criminals, situated overlooking the canal and Raven's Gate. A woman is brutally killed on the bank opposite the Hostel on a night when Nick is on duty. Nick believes his lads had nothing to do with it, though consequently Nick is suspended for issuing too many late passes at once. Then another woman is killed and Nick becomes drawn into discovering the culprit. He works with DCI Findlay and DS Deacon as the murder toll rises. Together with help from his old friends Alan and Hugo, Nick's research uncovers a long series of similar murders in the same area, stretching back through the centuries. 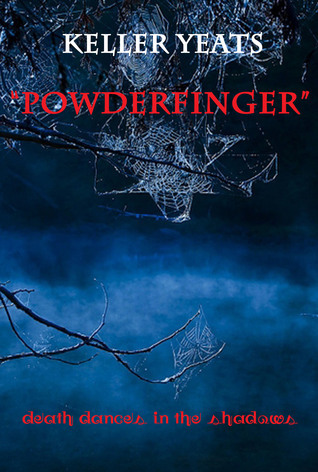 "Powderfinger" as the killer is dubbed, appears to be some kind of ancient mellifluous, malevolent, murderous being that attacks anyone it considers to be disturbing its peace and quiet. Eventually, as the story climaxes, Findlay, Deacon, Nick and Alan set a trap to lure "Powderfinger" to his doom and rid the area of this beast once and for all. Yet, traps can swing both ways. “O.K, no sweat, I’ll get right on it. You know, you nearly made me spill my drinks just then” replied Arch. Alex Findlay, just laughed to himself and thought that perhaps his DS had another career option he had kept quiet about? He had grown to both like and respect Arch, despite finding him initially disconcerting. He could clearly remember, that first week, when he’d arrived at the station, ever so eager and at the same time, so naive. He had been like a puppy, the way he had trailed after his superiors. David ‘Arch’ Deacon, had a memory and mind for details. He had the ability, to sit and listen to someone prattling on for hours and then, repeat back to you, exactly what they had said. It was a remarkable talent and DCI Alex Findlay, had come to rely on him a great deal, for his dedication, listening and deductive abilities. He was fully aware, that one day Arch would most likely wish to move onward and upward, but for now, Mr. Deacon was his DS and he was not going to let him slip away, all that easily. Arch, having been given a task, got on with it immediately. He punched in the number for The Morgue and it was picked up almost instantly. Her real name was Jacqueline Pinnock but she had been known as “Jinx,” since her days at Medical School, when one day she was learning how to set up a shunt for a blood transfusion, something had come loose and the blood bag sprayed her white coat, with drops of the red stuff. On seeing this, her mentor said something along the lines of “I don’t know so much about Pinnock, it should be Pollock.” From that one small quip, and numerous other ‘not my fault’ happenings, “Jinx” was born. Since 1984, whenever anybody asked her name, she would answer; “My name is Jacqueline Pinnock but people call me, Jinx” and then delight in the curious look on their faces. “O.K. Arch, this is all I’ve got at the moment, just tell the old man, that the cause of death was the cutting of the throat and four deep penetrations of the torso. The best that I can do on the time of death is sometime between Midnight and Four a.m., most likely around 2am, as I said before at the crime scene. I’m running tests to narrow that down. The weapon, is proving to be quite problematic. It appears to be some kind of cutting, stroke stabbing implement wielded with great force. I know he won’t like that but tell him, I’m going to take a cast of the wound. Hopefully, that will give us a clearer picture of what exactly what the weapon is. I should know more when the test results are in. I know it’s not exactly what you wanted to hear, but tell the old sod, that this one is not your everyday run of the mill killing. I’ll keep you informed as the results come in.” With that, she bid Arch “goodbye” and cut the line. “Jesus, he’s going to love this,” he said into the air. Arch made his way through the incident room to his boss’ office, at the far end. As he drew closer, he could clearly hear his DCI, cursing something or other, so it was with some trepidation, that he knocked on and then opened the door. These sound fantastic. I love this genre and it sounds like these will be a good fit for me. Very mysterious and a bit foreboding call me intrigued. I love to read. Many thanks for showing interest in my stories. I hope you find them deeply disturbing.